Pi and I are currently making plans for her Easter dress (choosing fabric, her pointing out dresses she loves, etc). Which reminded me of the PILE of dresses I made last summer when sewing and reading (and so much prayer) were my therapy in an extra rough season. And I never shared any of them here! 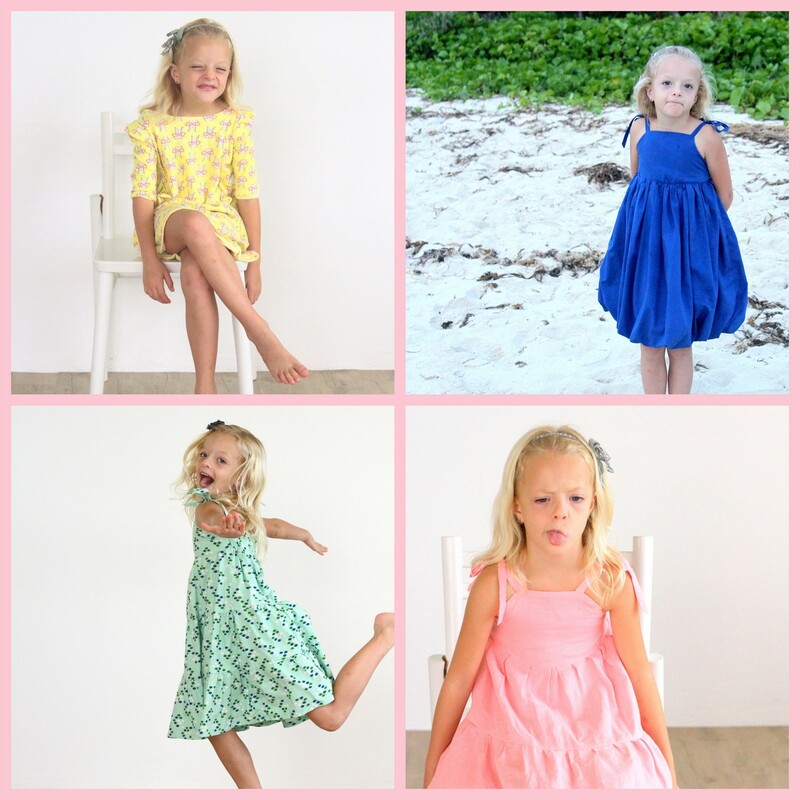 Even better- all of the patterns I used would make such a cute little spring dress (in fact, looking at these pictures makes me think that I should sew another pile of dresses for Piper and her cousins!). 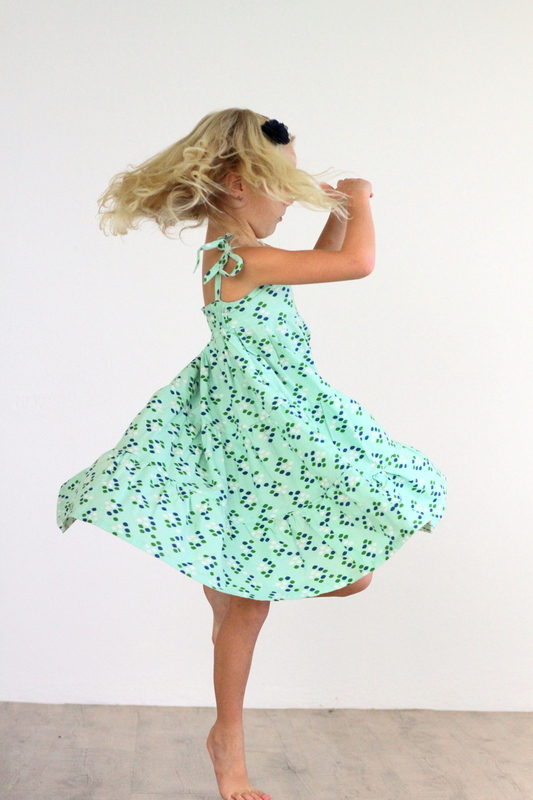 Up first- the Mille Feuille dress (pattern by girl.inspired). This pair of extra-twirly dresses were Piper’s fav (so much so that she even convinced me to make one for her cousin Evie!). I don’t have a serger, and didn’t love the overcasting stitch option on my sewing machine (that I ended up selling in Saipan and leaving there), so I added an inch and a half to each of the skirt layers and used french seams to cover the raw edges. Hilarious story- Piper wore the pink dress to church one Sunday inside out and we didn’t notice until the drive home (oh french seams!). Hahaha! I actually also used the Mille Feuille bodice to make this bubble dress as well. I will try to put together a little tutorial because it was super simple (and I think you could use any number of bodice patterns), and Piper (and also my niece Josie, who became the recipient of a bubble dress as well) LOVED this one. 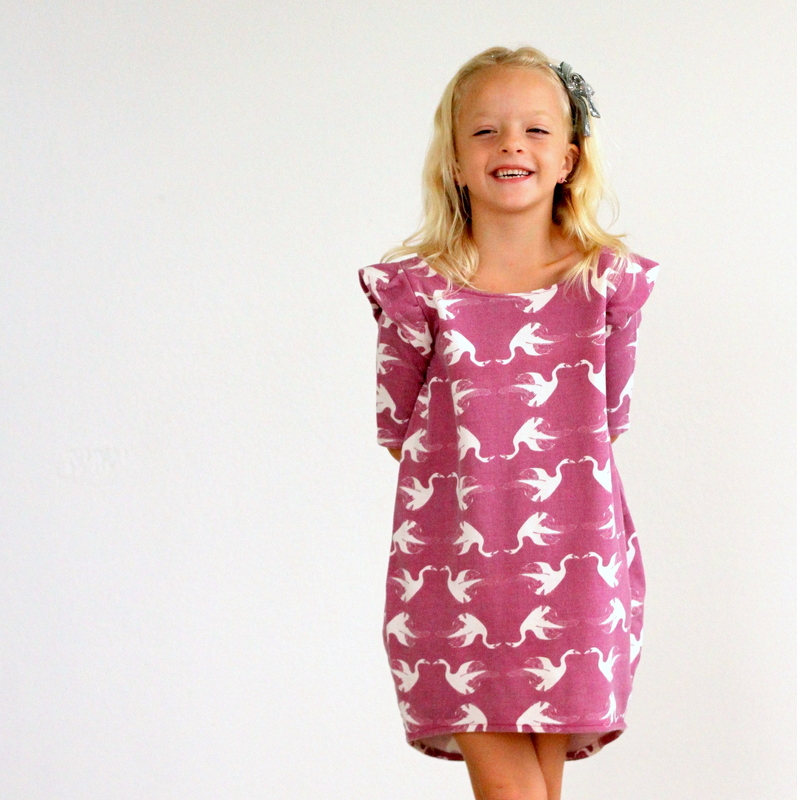 And this Cocoon Dress pattern by Groovy Baby & Mama is perfection. I am saving all of my last bits of sweatshirt knit from the fabric market in Seoul for these (especially because my non-dress-wearing niece Keadryn has declared these dresses nightgown-ish enough to wear on the regular). Love, love, love. Fun byproduct of gathering pictures of dresses you’ve sewn? It makes you excited to sew! 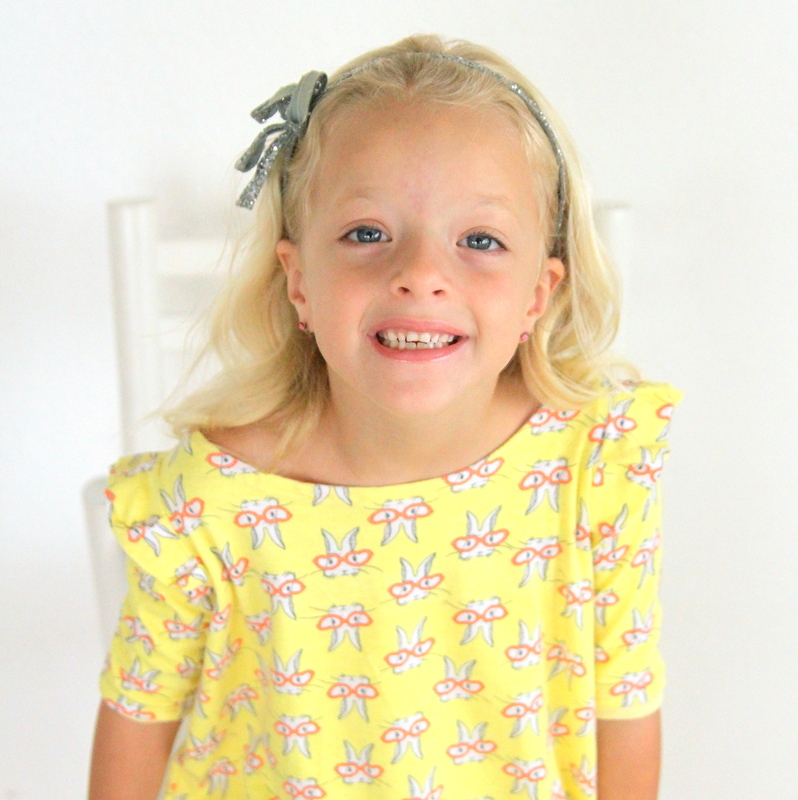 And now I can’t wait to make Piper’s Easter dress (as well as revisit these patterns again!). ps- These outtakes kill me. Y’all, I could not love this little girl an ounce more. I absolutely love the green one! I haven’t come across that pattern before, but my girls would love the twirly skirt too. Thanks Sara! When I was looking at those pictures, I kept thinking about how I need to make another Mille Feuille dress for Piper. The pattern isn’t very expensive ($8 I think) and I just keep making it again and again. 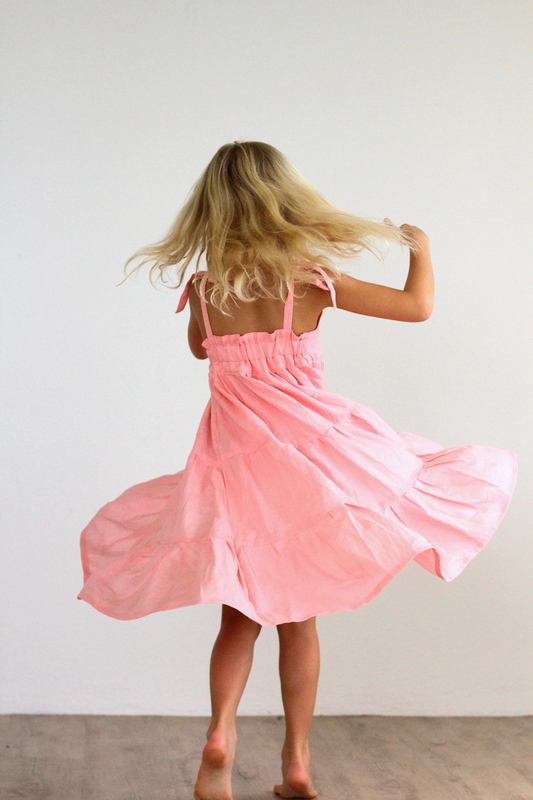 😉 Twirly dresses = so fun!!! They are all so cute!!! And I cannot believe how big Piper is already! I started following your blog when you were preggo with her…..time flies! UGH don’t remind me. I always tell her she has to stop growing. 😉 So fun the you’ve been around for that long- I always love seeing your name on here!! !